Consider this: Before the vaccine for measles was introduced, nearly everyone contracted the disease, and hundreds died from it every year. Today, you’d be hard-pressed to find anyone who’s ever seen a case of the measles. These success stories are common when it comes to many highly contagious diseases. 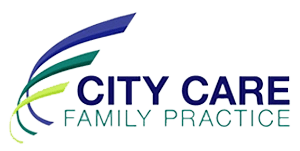 At City Care Family Practice, the healthcare team provides vaccinations for both children and adults in the Murray Hill area on the east side of Manhattan in New York. To learn how you can protect you and your family, call or schedule an appointment online. Vaccines were introduced to provide a first line of defense against many highly contagious diseases, such as polio or whooping cough, and have since become the single most important preventive tool in modern medicine. Vaccines not only protect you and your loved ones against contracting these diseases, they also prevent you from spreading them to others. It’s for this reason that the U.S. has been able to almost completely eradicate many diseases from its shores. 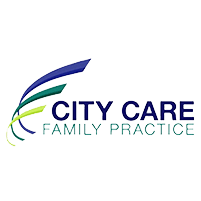 When you receive a vaccine from your healthcare provider at City Care Family Practice, you’re receiving a very small amount of the killed or weakened form of the virus or bacteria, which trains your body in how to respond to it. By introducing a controlled amount, your body learns how to fight off the disease, so should you come in contact with it in the future, your body jumps into action and quickly drives it out. The answer to this depends upon what you’re vaccinating against. If you’re dealing with a newborn, you should begin basic vaccination shortly after birth. As your baby’s immune system starts to come online, it’s important to make these vaccines a part of that process. Your provider gives you the full schedule, which offers protection against 14 diseases before your child turns two. There are other vaccines, such as an annual flu shot or the vaccine against HPV, which the provider administers when appropriate. Vaccines are safe and well-tolerated by most patients. Some redness or swelling may appear at the site of the injection, but this should go away in a day or two. In the unlikely case of an allergic reaction, you should contact your healthcare provider immediately to get it checked out. To get started on vaccinating your family, call City Care Family Practice, or use the booking form online to schedule an appointment.